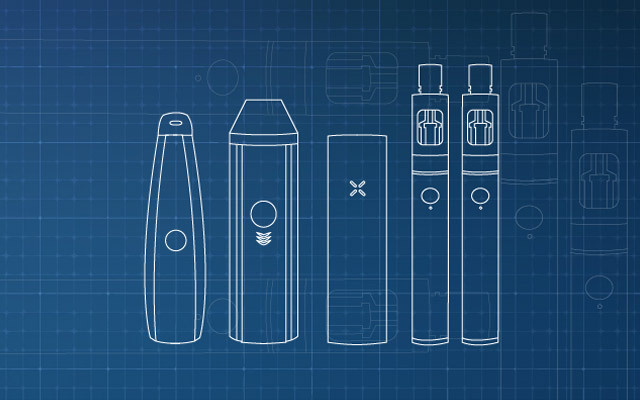 There are so many ways to vape today. Whether you prefer a sleek pen or a box mod vaporizer, the looks and ways you an customize your herbal vaporizing experience is endless. It even goes beyond vapes-into dabs and other outlets-making every herbal accessory a great choice. When it comes to your box mod vaporizer, there are a few things you need to consider before making this investment. Aspects such as your price point and your herbal vaporizing needs are important for such an investment. The SteamCloud box mod vaporizer is a great box mod vaporizer. 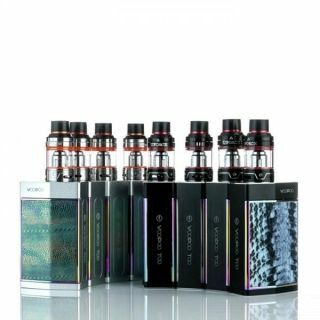 It is a high-quality box mod vape that is held to the same standard that all of our vapes had, with high functionality, quality, and affordability. It is compatible with multiple attachments, giving you endless, versatile options for your vaporizing needs. Whether you want to use oils, waxes, or anything else, the SteamCloud box mod vape lets you do that. 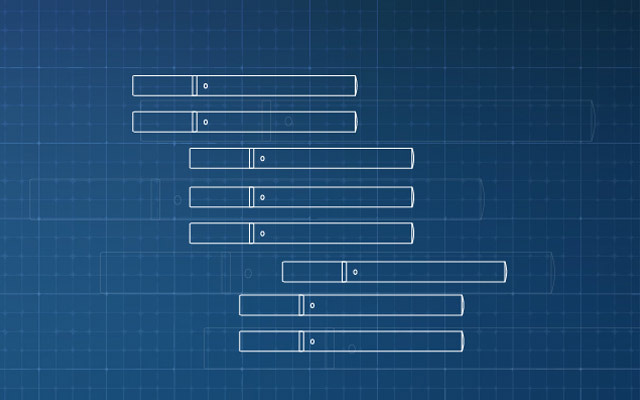 And while looks are not everything, they are important, and we understand that over here at SteamCloud. Our box mod vape comes in a compact case, and the size itself od the box mod vape is compact and portable. Being discreet, sheik, and easy to travel with are other great aspects of the box mod vape. Our kit has everything you need, and it is a user-friendly device. You will love your box mod once you see how enhanced your vaporizing experience has become with this product. 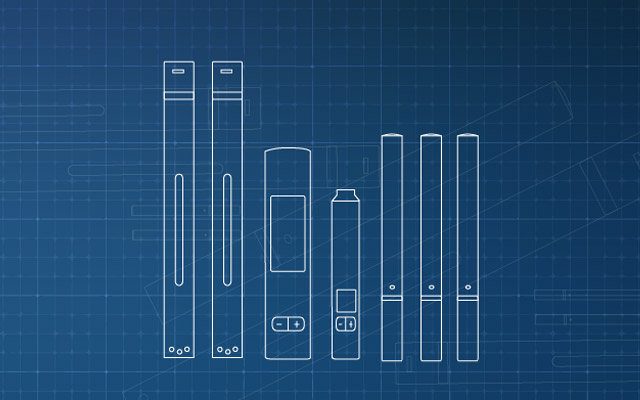 Your Box Mod Kits comes with everything that you need for quality vaping. There is even a necklace to help you vape portably and without your hands! In today’s world, you may be busy doing something with both of your hands, but this lanyard for your box mod lets you do yet another task, and not let that stop your vaporizing flow. 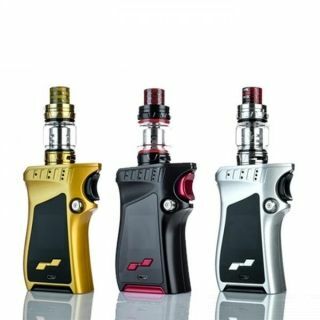 Why Get the SteamCloud Box Mod? The SteamCloud box mod has many benefits that make vaping a much more enjoyable experience. One of the amazing perks is this box mod’s compatibility. The SteamCloud box mod is compatible with skinny pre-filled 510 oil cartridges. In addition to its cartridge compatibility qualities, it is also compatible with most 510 atomizers for herb, wax, liquids, and oils. This means that can be used with most standard 510 atomizer attachments. It makes vaping that much easier with all of the options that you have to click into your box mod. This SteamCloud box mod vape is also of high quality. It is a 60 Watt device that is extremely reliable. The maximum Watt is 60, and the battery capacity is 1600 mah. The box mod will automatically adjust to the proper wattage. The voltage improves automatically when it is less than 3.4v, so the module includes that function. It has a working voltage of 1.8 0 6.0 volts, and it is a battery that is easy to charge and lasts all day. It comes at a size of 54 x 30 x 22mm. The compactness of the SteamCloud box mod makes it not only portable and easy to travel with, but discreet as well. It fits into the palm of your hand. The SteamCloud also a few protections in place: low voltage, tank short and low resistance, and high temperature protections. The first protection is a low voltage protection element. When the voltage is lower than 3.4v before you being to vape, the box mod with let you know. If you try and press the power button, the screen will show Low Battery. When the voltage is lower than 3.0v, the battery mark will keep blinking. This helps with the longevity for the product. The high temperature protection kicks in so that the box mod does not get too hot. While you are vaping, if the temperature goes over 70 degrees Celsius, the SteamCloud box mod vape will stop and the screen will state Super Short. A similar warning also goes across the screen when you are vaping if the tank resistance is not in the right place. If it is ＞0.05Ω and ＜0.10Ω, the screen will show a sign that says Low Load. If the resistance is ＜0.05Ω, the screen will blink Atomizer Short. The SteamCloud box mod vape also has temperature control for 200F-600, and 100C -300C. The temperature controls allow you to adjust for the best tasting vape at the ideal temperature. The SteamCloud box mod vape is extremely user friendly. Simply press the power button five times quickly in a row to turn the device on. The same action is used to turn your vape off as well. Clicking more than five times will still turn the vape on or off, as long as five is reached. There are + and – buttons on your box mod that can help adjust the mode. In order to do so, all you have to do is hold both buttons at the same time. Pressing the power button once will allow you to select the mode. The + and – buttons can also be used to adjust the wattage. Make sure to plug the charger into a power source. A charger comes with your SteamCloud box mod kit and is always the best one to use to charge your vape. Plugging the charger into the micro USB charger port and plugging it in is the best way to charge your device. The screen will turn on when properly plugged in. Once on, you will be able to see the current wattage setting as well as the battery meter. Wait until the battery meter displays as fully charged. You can tell when this occurs once the meter stops fluctuating. 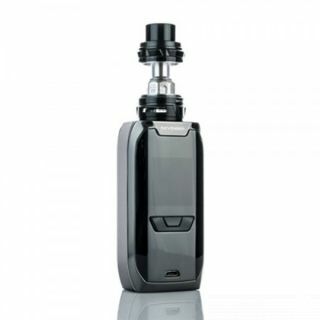 It is really important to remember that the SteamCloud box mod vaporizer is a high wattage electronic. This must be kept in mind whenever you are using or switching out any attachments. Before you are ready to use and heating chamber attachment, whether it is an oil or wax or anything else for vaporization, it is important to make sure that the resistance of the attachment is with the recommended range. Feel free to check this review or another source to verify the recommended range. Failure to check this can risk damage to the atomizer itself. Whether this is your first box mod or your hundredth, you may have uncertainty of which wattage to use. If this is the case, especially if you are new with the product, start out with the lowest possible wattage. Doing this will make sure that you will avoid damaging any coil atomizer attachments. The goal is always having your box mod vaporizer for as long as possible for the best possible vapes! Make sure to avoid damaging the screen. 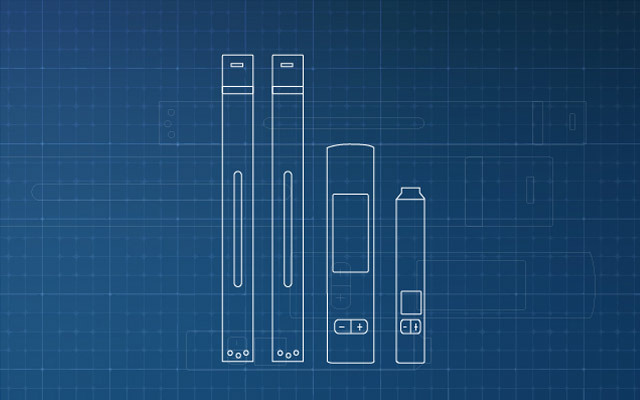 The screen on the SteamCloud box mod vape is filled with information to give to you as the user. Details such as temperature, wattage, and battery life are al displayed on the screen. Keeping your screen intact is important for the best vaping experience. 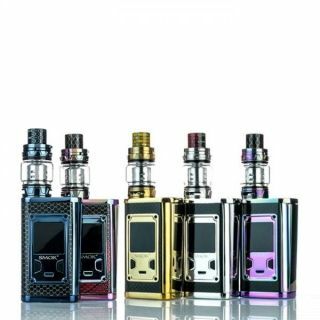 Damage to the screen will mean you will not be aware of not only the battery life, but crucial elements, such as temperature and wattage, which can result in a damaged atomizer. Is the SteamCLoud Box Mod Vaporizer Right For Me? 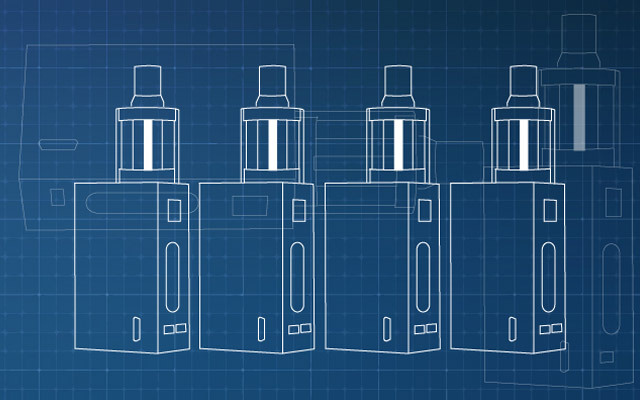 Selecting the perfect box mod for you is quite the decision. You, as the consumer, should take a holistic look at what you want to get out of the experience. Keep in mind your budget and what your needs are. Finding the box mod vaporizer that fits within both of those categories is important. The SteamCloud box mod vape is a quality vape for a good price, and it is an investment that will benefit you long term. The kit comes with handy elements, such as the protective case and lanyard, that make it easy to travel with. It is discreet and compact, again making it easy to use on the go and bring with you wherever you are. The case also keeps it from getting damaged, saving you money and the headache in the long term. 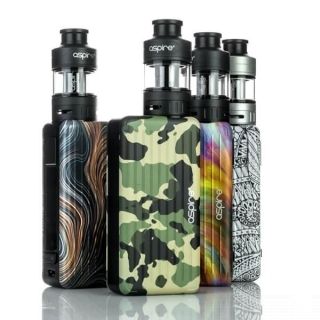 The features of this box mod vaporizer, such as the temperature, the protections, the wattage, and the compatibility, allow for a diverse and fulfilling vaping experience. Ultimately, the choice is yours.